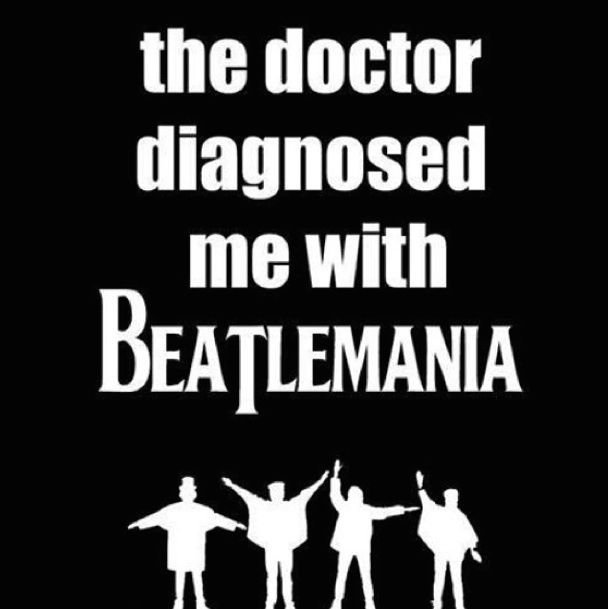 Back in 1980, I got a fever and the only prescription was John, Paul, George and Ringo. 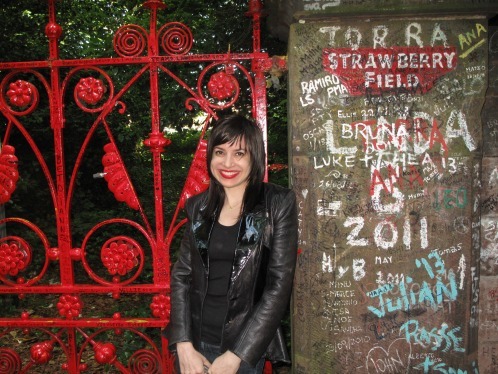 Since then, I’ve wanted to go to Liverpool, the Fab Four’s hometown. It’s difficult to schedule a trip to Liverpool though. 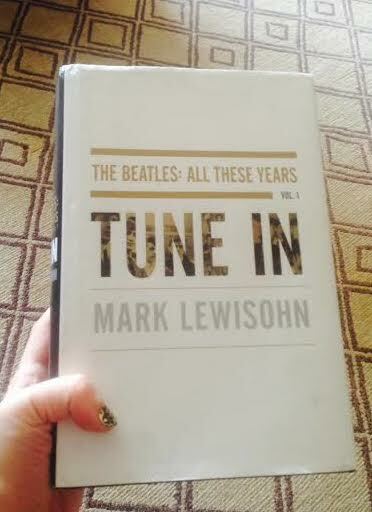 It doesn’t top most non-Beatlemaniac vacation lists, so every year, I’ve told myself, “Maybe next year.” Then I read Tune In, the first of a planned Beatles trilogy by Mark Lewisohn. Speaking of Ringo, I never before understood what harrowing childhood health problems he had. First, his appendix ruptured shortly before he turned 7 in 1947. As he was wheeled into an operating room, Richy, as he was known, asked a nurse for a cup of tea. Lewisohn writes: “‘We’ll give you one when you come round,” she answered — by which time ten weeks had passed.” During that time, his mother was warned on three occasions that he wouldn’t survive the night and, even after he came out of that original coma, he spent as many as 16 weeks in and out of consciousness. He didn’t get back home until the summer of 1948! After a few decent years, in May or June 1954, he came down with pleurisy and then tuberculosis, and didn’t get out of the hospital till the end of 1955. It was during that second hospital stay that he first got his hands on a drum, thanks to the the visits of a music teacher who came with a selection of percussion instruments. Richy had coveted a drum seen in the window of a music shop early in 1954, and refused to participate in the music class unless he got a drum instead of the other options of tambourine, cymbal, triangle or maracas. Good thing the teacher gave in to him, eh? 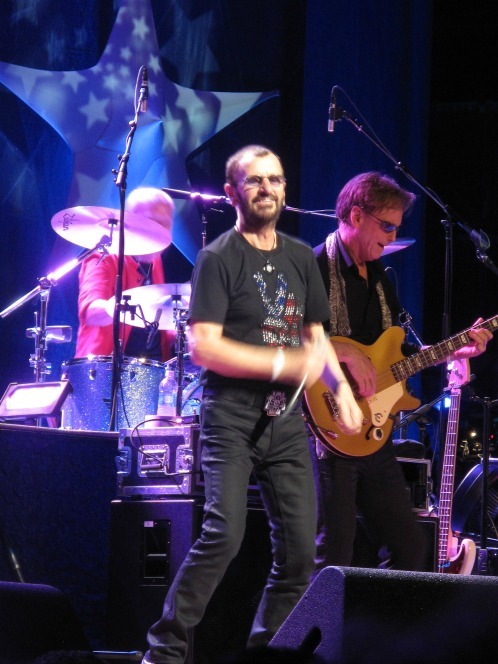 A photo I took of Ringo at a concert in June. Click for original post. Or as I say, “Never Is the Next New Thing™”! LOLZ. 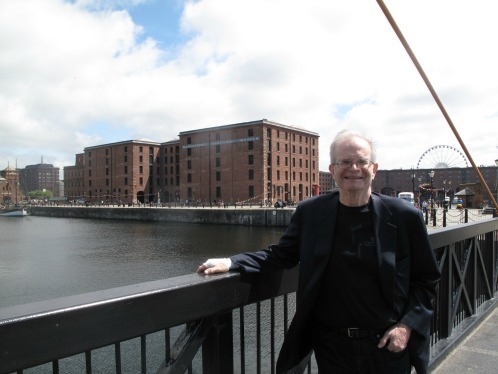 Of course, part of the problem was the snobbery that London-based companies had towards Liverpool, which they considered a hick town, still struggling to rebuild the ruins from heavy bombing during World War II. So what did those fans matter? Then there was Decca’s belief that “guitar groups are on the way out.” Guitar groups were barely getting started, of course — it was the Beatles who would popularize them — but there had been a little blip of interest which the suits believed would be as short-lived as fads for calypso music and the Twist. I could go on, but I’ll just say that if you’re in any creative industry and frustrated by running up against the Establishment’s lack of vision and imagination, this book has a lot of lessons for you. A view of the Mersey on the left. 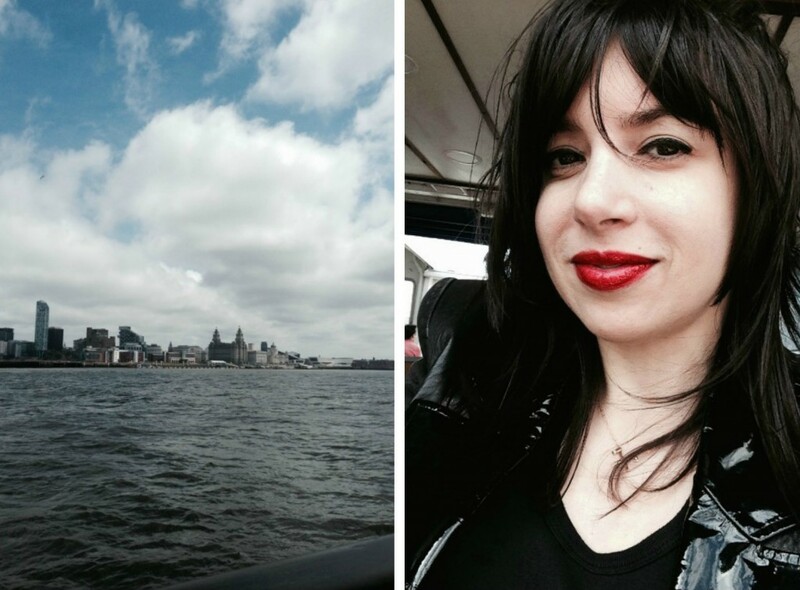 Windblown on the ferry on the right. 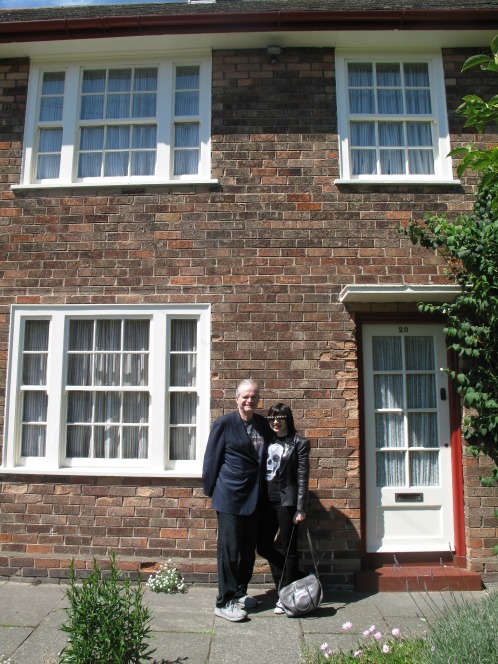 … and all the Beatles’ childhood homes, plus Brian Epstein’s. 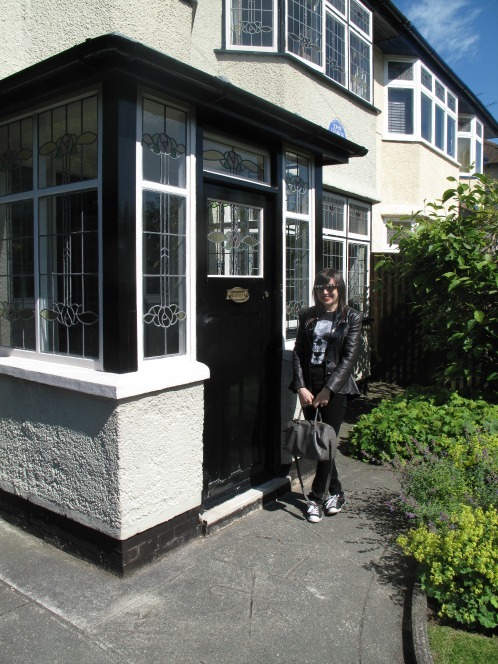 We went on a separate tour to go inside John’s and Paul’s houses. Those houses are now owned and operated by the National Trust, which does several tours a day to both houses with just 15 people per tour. Those tours are the only way to get into the houses, so make sure you book early! You’re not allowed to take photos inside, but here is one of me and my real husband lurking outside the door of my almost-husband Paul McCartney’s old house on 20 Forthlin Road. After, I stopped to pinch (physically pinch, not steal!) a flower across the street from Paul’s house. 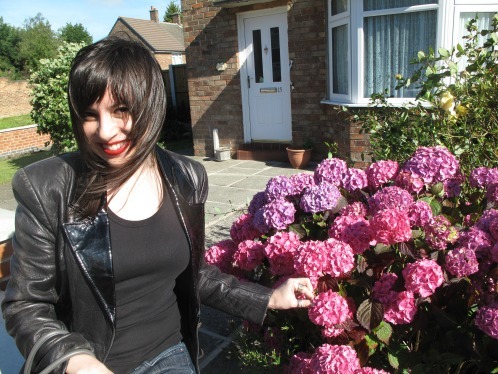 Click for my previous flower-pinching escapades. Colin, Sylvia’s husband, did the tour for Mendips, where John lived with Aunt Mimi. There were some old drawings by John and other memorabilia but it would have been nice to have some photos of him in the space like we had at Paul’s house. Still, I had a great moment standing in his tiny bedroom and looking out the window and thinking, “John looked out this window!” Someone else who did that on a tour years ago was Bob Dylan. 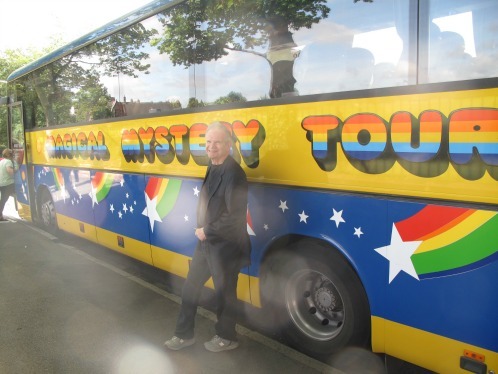 Yep, Bob did the fan-boy thing and took the National Trust tour, which I found interesting because Bob knew John. In fact, Dylan was the one who introduced the Beatles to pot in 1964. (In 2012, The Atlantic called the Dylan-Lennon relationship weird and one-sided, but maybe it wasn’t as weirdly one-sided as thought.) 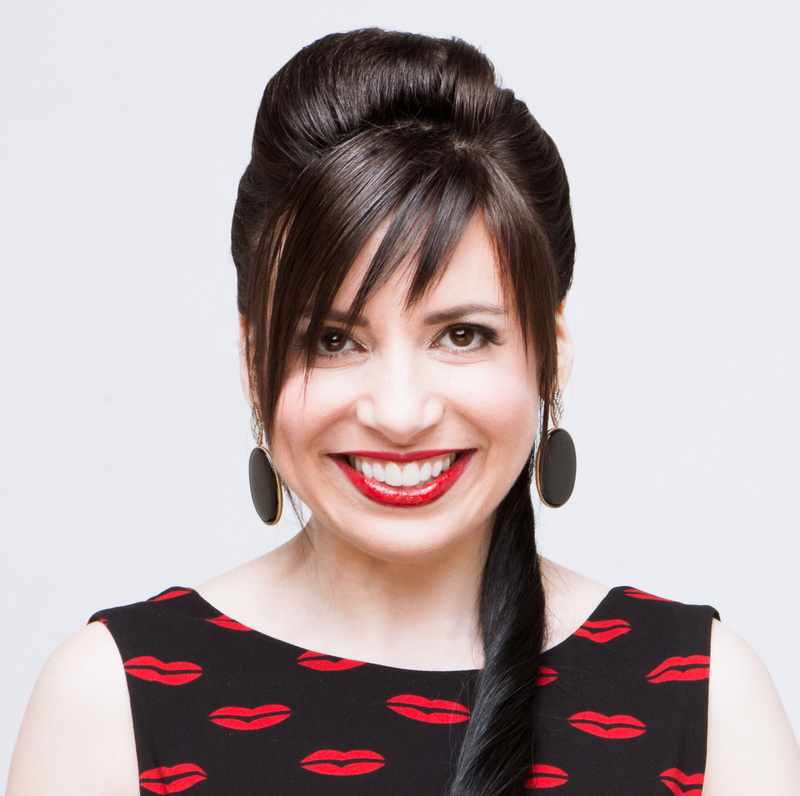 I also checked out Aunt Mimi’s room, walked out, then ran back in so I could fluff my hair and check my lipstick in Aunt Mimi’s mirror, just so I could say that I primped in Aunt Mimi’s mirror. Clearly Bob Dylan’s not the only weird one here. 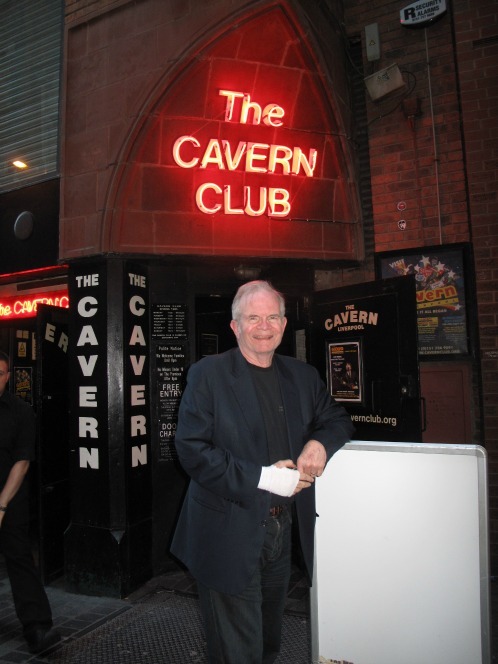 Of course, we went to the basement-level Cavern Club, where the Beatles played so many of their Gladwellian 10,000 hours to hometown fans who, long before the band went on to huge success, would stop by Paul’s house to hang with the boys and get served tea by his dad, Jim. 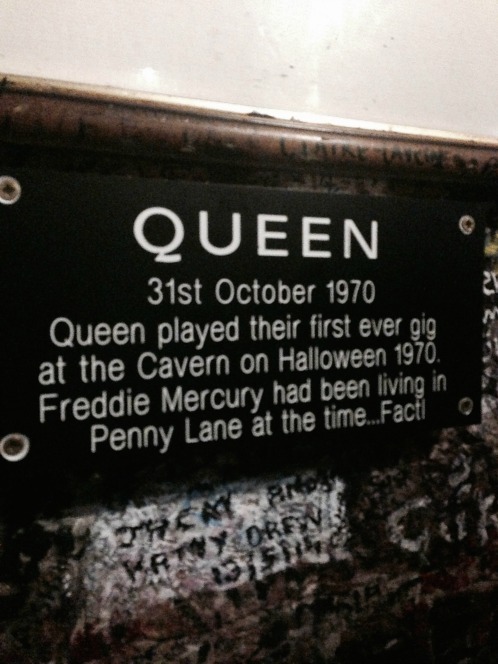 The Cavern has been rebuilt and improved after being closed in 1973 and it was still pretty dank, so imagine how it was before there were laws about fire exits and ventilation. I love the fact that people used to cram into this place with sweating walls on their lunch hour, rock out, get all smelly and go back to work/school. I’ve never done anything like that! Don’t worry about MrB’s hand here. He had very minor surgery before our trip. That’s exactly what this was like, except my faith hasn’t been restored by a sexual nickname. In back of this weird-looking statue of John is a Wall of Fame listing all the artists that played at the original Cavern Club. Now the Cavern has live music starting around noon and going all day. Plenty of Beatles tributes, of course. You’ve got the guys specializing in John and the guys specializing in Paul and so on. I always feel kinda sad for the guys who realize they have a Ringo voice, even though Ringo is awesome and the Beatles wouldn’t be the Beatles without him. When it comes to voices, you want to have the John or Paul voice. That’s just how it is. Sorry, Ringo. 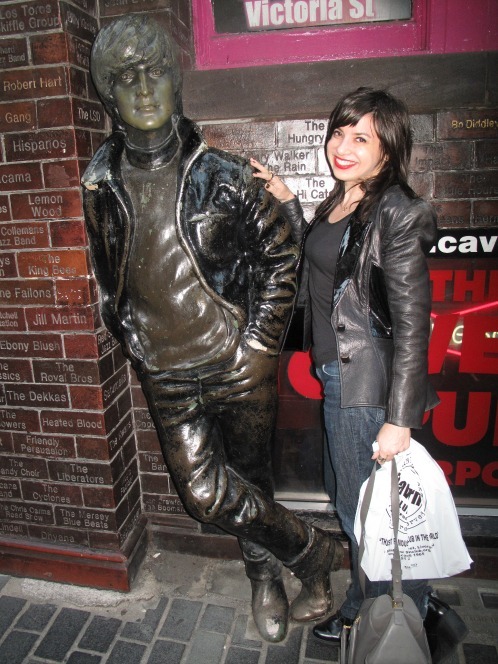 We stayed at the Cavern for a couple of hours but I could have stayed the whole day. … and Queen. Can you believe this factoid? This is fabulous. 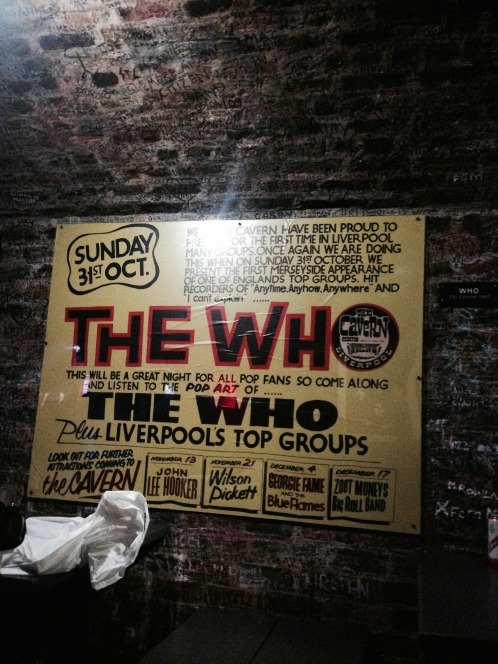 We were only in Liverpool for about 2 1/2 days, and I would definitely go back and do the tours all over again, and then try for more obscure things, like the pub where Ringo used to go and so on. Also, we didn’t get to check out the museums, including a branch of the Tate and the Maritime and Slavery museums because there was a museum strike on the day we allotted for that. 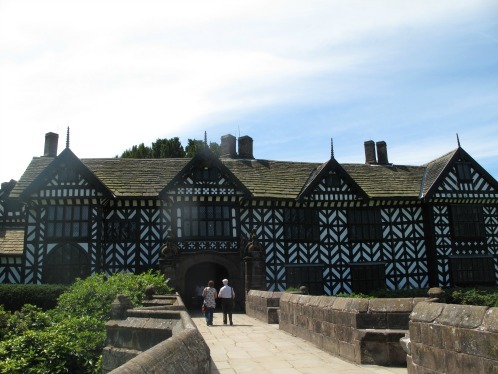 We did squeeze in Speke Hall, a beautiful, well-preserved Tudor house. Our July trip didn’t end with Liverpool. Our next stop was London, but I’ll save that for the next post. Note to Mark Lewisohn: Thanks for writing the book that got me to visit Liverpool at last, but your work really needs a discography of all the records that inspired the Beatles, from pre-World War II tunes to the Donays. I only realized when I got to the end of the book that I should have been writing those down so I could have a mega-Beatles-related playlist. Have someone organize that on iTunes for us, please! Kthxbai. I also loved that James quote… one of the best! I’m telling you, that book is full of good lessons! 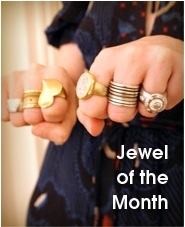 Holy cow – this post is all kinds of awesome. You should be an NYT book reviewer! And honestly, even I know who Stu Sutcliffe was (and I’m just a dilettante of the Beatles history). I’m surprised it took you so long to get to Liverpool given how often you go to the UK, and your obvious obsession! But I do credit that book with making up my mind once and for all! 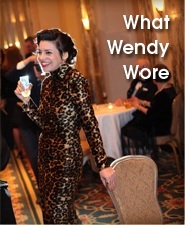 Another fabulous history lesson, dear Wendy!! I admit to being one of “those” individuals who didn’t know all that much about the Beatles…and now I’m probably better educated than the average fan!! 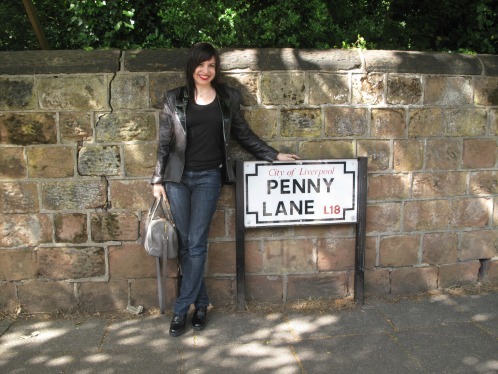 😉 As a true Beatlemaniac, though, you must have been so thrilled to finally make the trip to Liverpool…looks like you squeezed a whole lot out of your 2.5 days! !